Dong Mei DIY is a store selling handcrafting materials in Taipei. The shop has a variety of Swarovski crystals, chains, curtains, beads, hardware accessories, Chinese knot lines .. and so on. Here, you can find a wide range of hand craft materials and tools spread onto the 1st and 2nd floor. 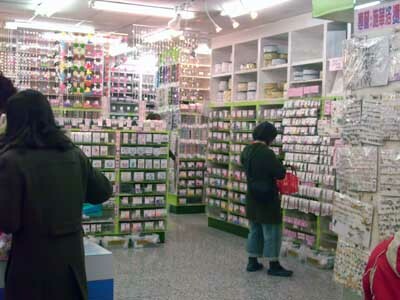 This store carries a wide range of pearls, yarns and other materials you could think of. If you are not good in making your own crafts, there are finished products you can buy also. If you are looking for a store in Taipei where you can find hand craft materials, this is a place you should check out first. 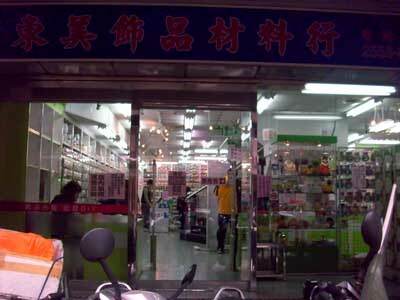 Located behind Taipei Main station, there are many other hardware and tool shops nearby so it will be easy to find what you are looking for.